UFC Rashad “Suga” Evans was seen Carbo-Loading at Buca di Beppo in Las Vegas following his Ultimate Fighting Championship weigh-in Friday, November 15, 2013. 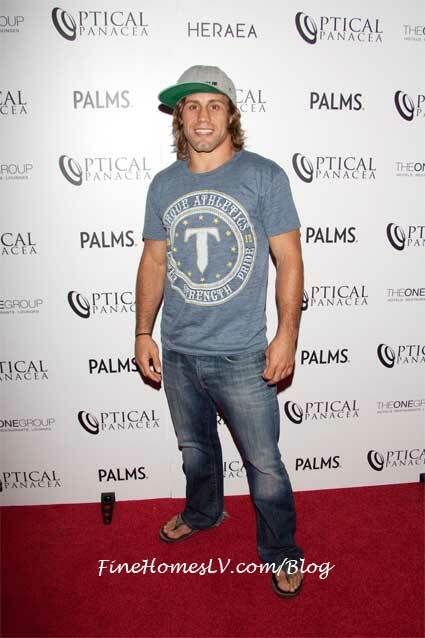 UFC fighters attend the official launch party for Optical Panacea, a cutting edge art that blends the imagery of a background photo with a series of athlete action shots, at HERAEA inside Palms Las Vegas. 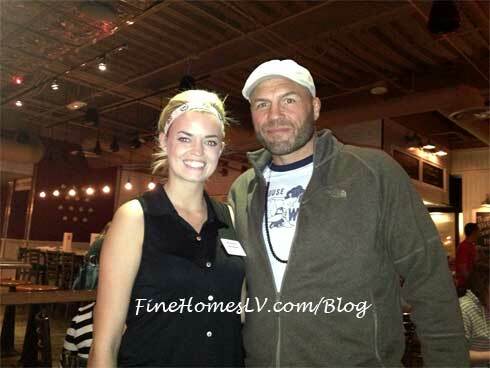 UFC fighter, Randy Couture, and Ashley Cartier and Little Egypt from G.L.O.W. (Gorgeous Ladies of Wrestling) enjoyed Happy Hour at Meatball Spot at Town Square Las Vegas on Tuesday.